the magic of christmas…22,23,24 & 25…all the rest.. These blocks will be coming off in about a week..this is your warning to get them all printed out…they are all in my blog posts…so if you can’t find one you are not working hard enough…so please look through all the posts…the links are in RED. Can’t be easier. 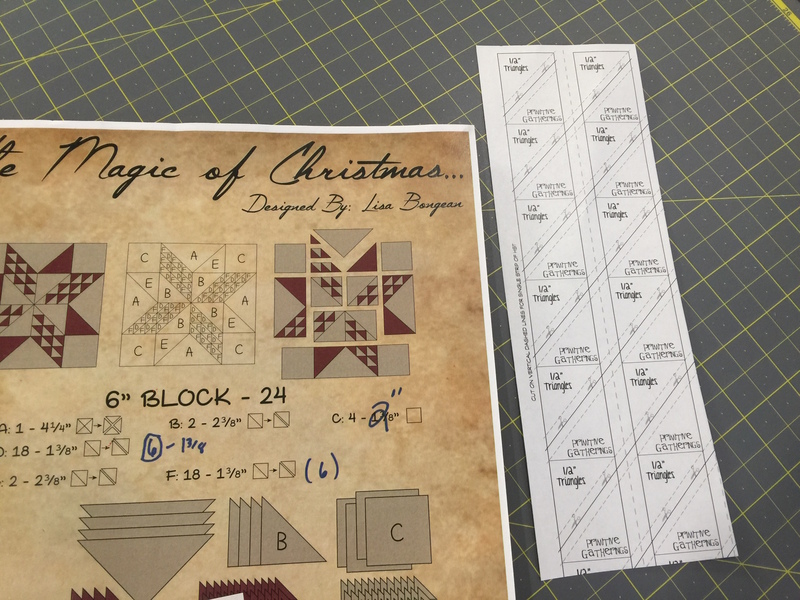 If I used triangle paper in these last four blocks I showed it in a picture…so please read everything as I explain if you need to cut anything else…and what it takes the place of…some of these blocks have 1/2″ HSTs in them!!! Trust me you can do it!! 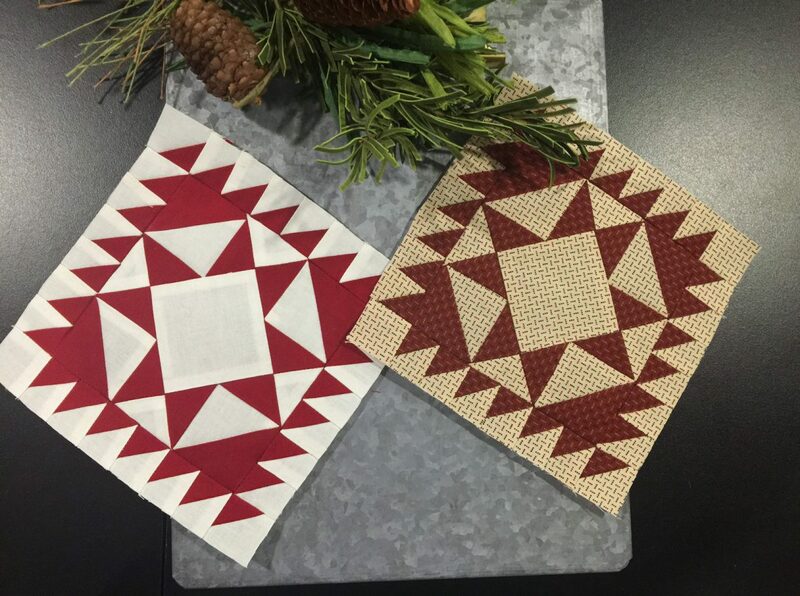 Here is the triangle paper you need for this block…ignore the first draft of this block…don’t let it confuse you..
Next Post Temecula 2016 retreat!! OMG – I had better get going!! Thanks so much – I got them all! Can’t wait to see how you lay them out! Thank you. Thank you. Thank you. I have 21 finished, and look forward to these last 4. 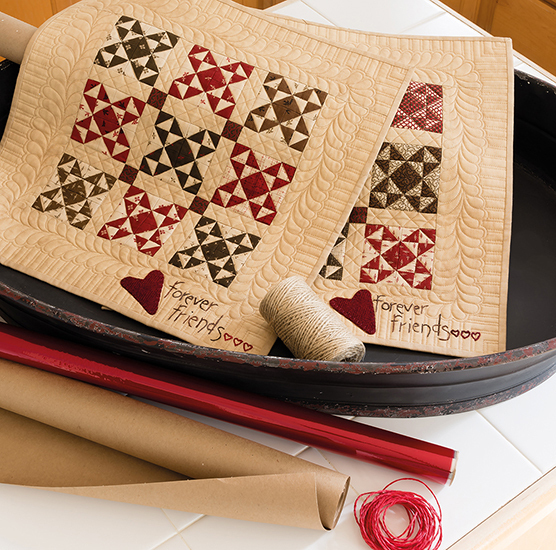 Thank you for the gift of this beautiful, original, red and white quilt. I would have never made one on my own, and now I have one almost complete. Thank you for the generous gift of your talent and time. P.S. Your beef barley soup is fabulous!!! I have made it twice already since you shared it. Thank you for that gift too. Thanks, Lisa! These look fantastic; can’t wait to begin. For #24, did you mean to still cut 6 C’s of light and 6 E’s of red though for the single triangles? There is no F on that block pattern. THANK YOU for all your wonderful patterns. I have been admiring them for the last little bit but haven’t gotten to them yet. Thanks for the kick in the pants, i have now gone thru all your posts and printed them off before they are gone. Red and white seems to be a favourite for me. Would you mind, Lisa, just clarifying Block 24 — that one confuses me. I goofed and posted my Block 24 question in the Retreat section. 😦 It sounds like Teri is going to correct the pattern. That will be great! I’m glad you changed your mind. The block is wonderful! Can’t wait to use HST paper again! I thought I’ve been following along pretty well, but I am missing block number 18. I’ve looked at all through the blogs and can’t locate. Somehow I am missing block 18. Thank you Lisa for these sweet little blocks. This is my first attempt to make 6″ blocks and I’m so glad I took the challenge. I cannot believe I can actually make such tiny units. 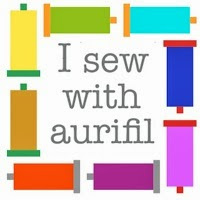 I did read and incorporate your tips for piecing. Thanks again. If you can respond to this note, can you resend me the last blog that included blocks 21 and 22? Thank you so much for the lovely 25 blocks. I very much look forwarding to this project. I appreciate all the work you have put into this project. Thanks, Lisa. Thirteen blocks are completed, 4 more cut out. I was keeping up for quite a while but life gets in the way sometimes. I’ve really been challenged with some blocks but oh so happy to see a measurement of 6 1/2 inches when I’m finished! ! Merry Christmas!! 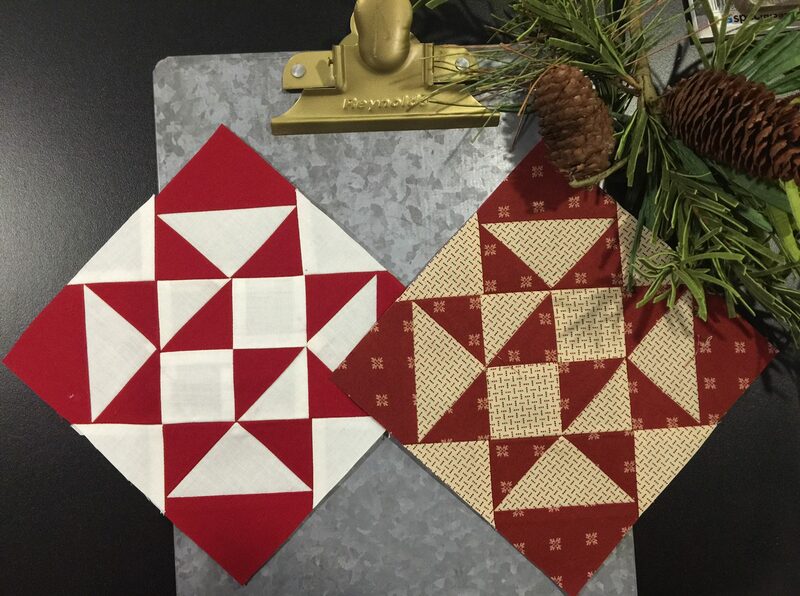 Thank you for these sweet holiday blocks! They will be a treasured collection! 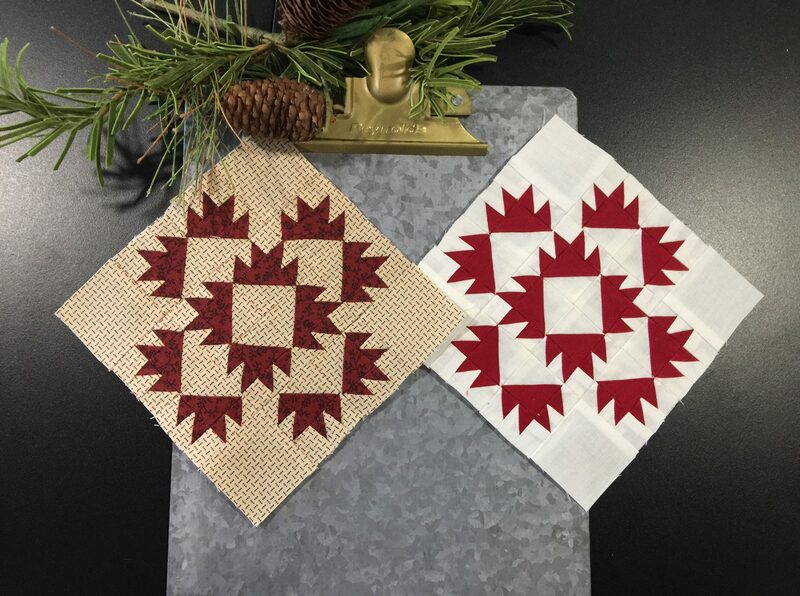 Thank you, Lisa, for sharing these wonderful blocks with us. And also for your encouragement to try some of these tiny pieces. You rock! Enjoy your holidays. Thank you for a challenging and beautiful batch of blocks…I love 23! Thank you Lisa!!!! I love them all, now hopefully I’ll be able to sew this weekend! With my messed up foot I haven’t been able to use the foot pedal on my machine after driving to/from work! I wanted to thank you, Lisa, for these lovely blocks! I double-checked to make sure I had downloaded all of them, and of course I had missed one which I added right now. I have not started sewing them yet, but it seems like the perfect January project. I have sent a quick email to my daughter in Sweden so that she does not miss downloading them. It is generous of you to share the blocks with all of us! Thank you for the many hours of work you put in to give us these designs. Merry Christmas! 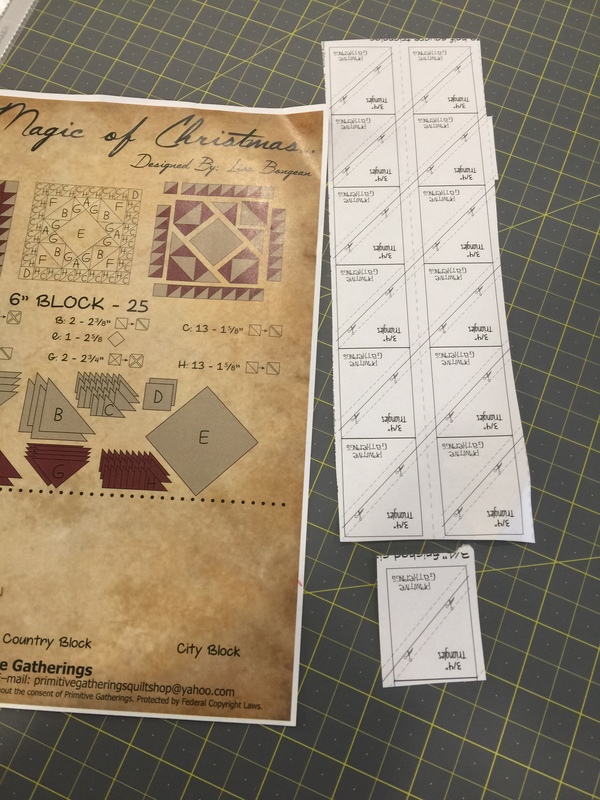 Can you please reprint block 24 with the correct letters and sizes that needs to be cut? The pattern is different than the copy with the triangle paper, VERY CONFUSING. 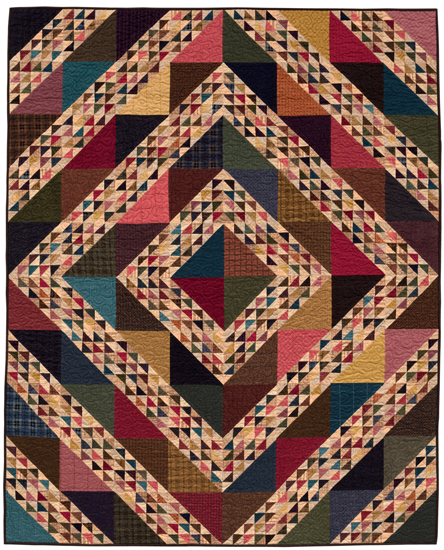 The pattern for light fabric B shows 4- 1 3/8” squares, the copy has B with 2-2 3/8” squares cut in half. B on the pattern is a solid square, etc. 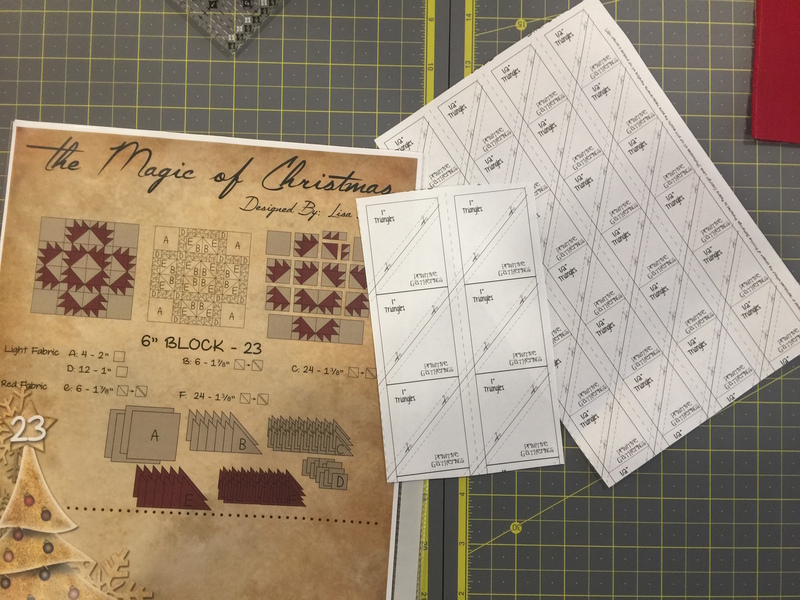 I just discovered your Magic of Christmas a week ago and have been saving the patterns like mad so that I can have them all before they’re gone. I hope to have mine done by next Christmas since there isn’t time for me to finish. I’m wondering though if you could make a separate list of all the corrections that were made. 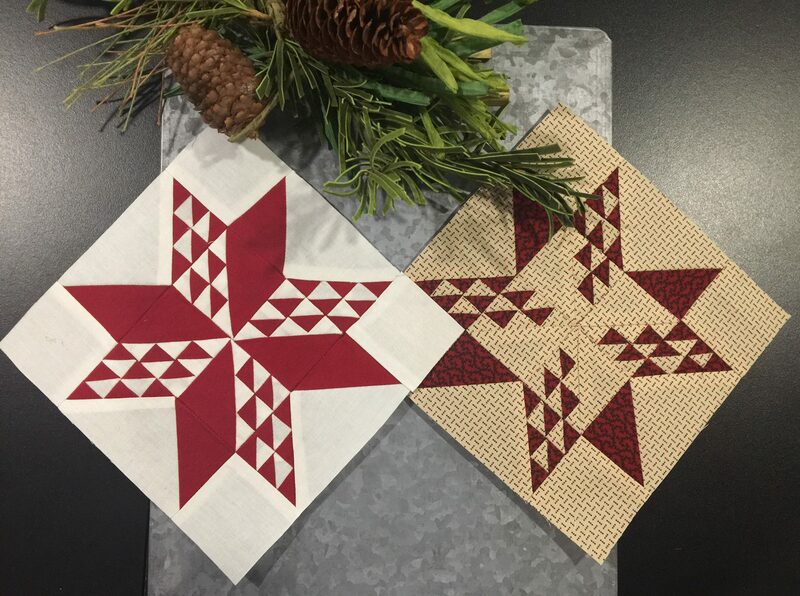 I know for a few of the blocks there are small mistakes in the number or size of pieces to cut but those aren’t corrected on the pattern, just noted on your blog post. It’d be nice to have a mini summary noting the changes made. Thanks for all your hard work! Beautiful little blocks…….it is very rewarding to have each finish 6 1/2. I cut 3-4 at once, seems to make it easier to stay in that mode and then the next day I will sew all which is keeping in the same mode. Probably will finish after Christmas day. 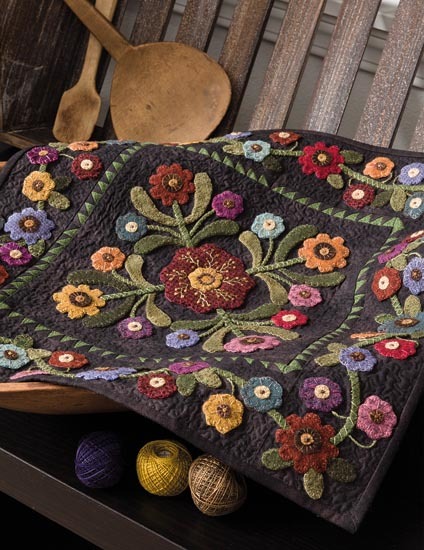 I always plan to have a project to work on after Christmas……..very relaxing. It must be very rewarding to you to have so many interested and working on your creative projects. Thanks. Thank you Lisa. The blocks are beautiful. I am looking forward to your suggestions on layouts. I have really enjoyed making the little blocks. Thank you. Lisa, Thank you so much for your generosity with these blocks. I have enjoyed making each of them. I have been playing with setting them and am looking forward to seeing what you suggest before I commit to anything. These blocks have been fun. I have 3 sets done thru block 20. Working at cutting out the last five and just had to do #24. My, my such tiny half squares and are they cute. Can’t wait to see the setting choices. I’ll bet it’s going to be hard to choose but since I am doing 3 different ones maybe I will use all 3 options. Thanks, Lisa, it’s been fun. I have 3 sets of these blocks done thru block #20. Working on cutting the last five but had to put together #24. So cute and tiny. Have really enjoyed each block and can’t wait for the setting options. May have to do all 3 since i am doing 3 of them. Won’t get done for Xmas but will be cute in a gift box. Thanks, Lisa, its been fun!! !